It has been very quiet in our blog during the last weeks. Now it is time for the Pumpkin Painters to awake from our winter sleep :) We made use of the Christmas holidays and started the new year with some new projects. My first one for 2014 is a birthday gift for my sister. 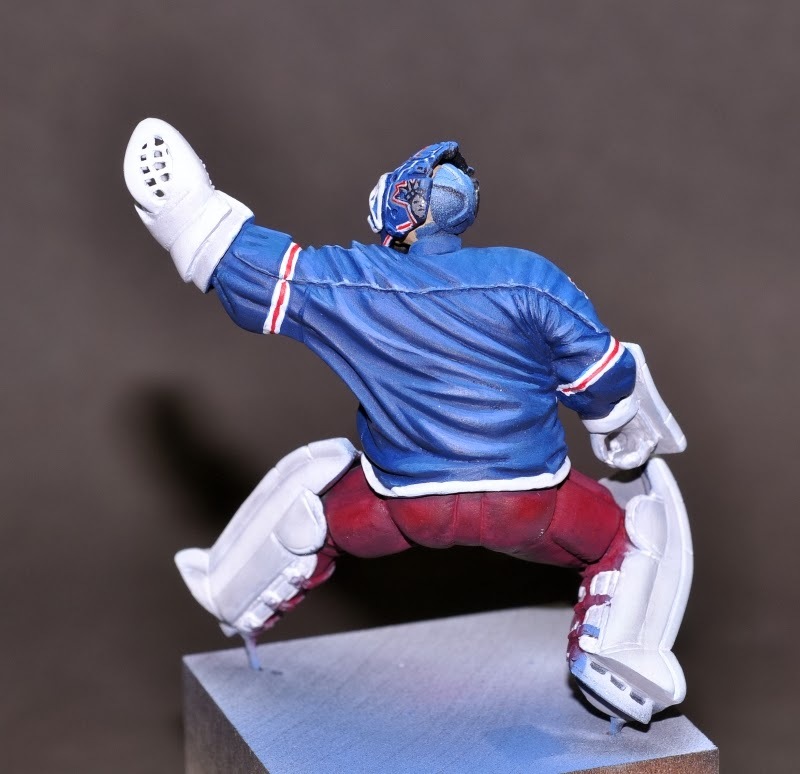 She loves hockey and likes watching NHL games and so we gave her a miniature of a hockey goalie. Since I didn't know which player she would like to have the gift was the plain figure and the paint job the way she wanted it. 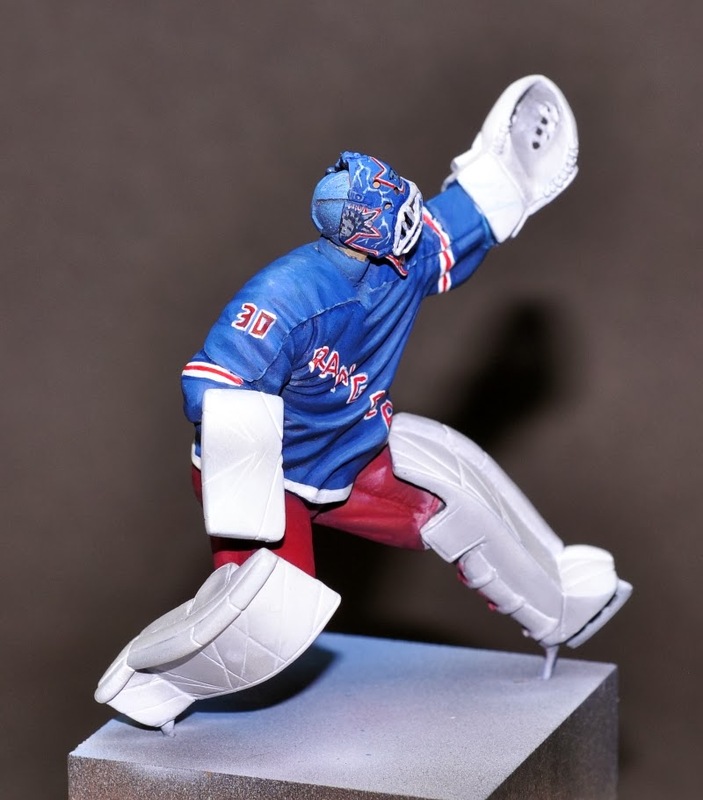 Her choice was Henrik Lundqvist from the New York Rangers because of the great color scheme of the jersey and of course because of the amazing design of his helmet. At this point the basic color of the jersey is finished and the helmet is also almost done. 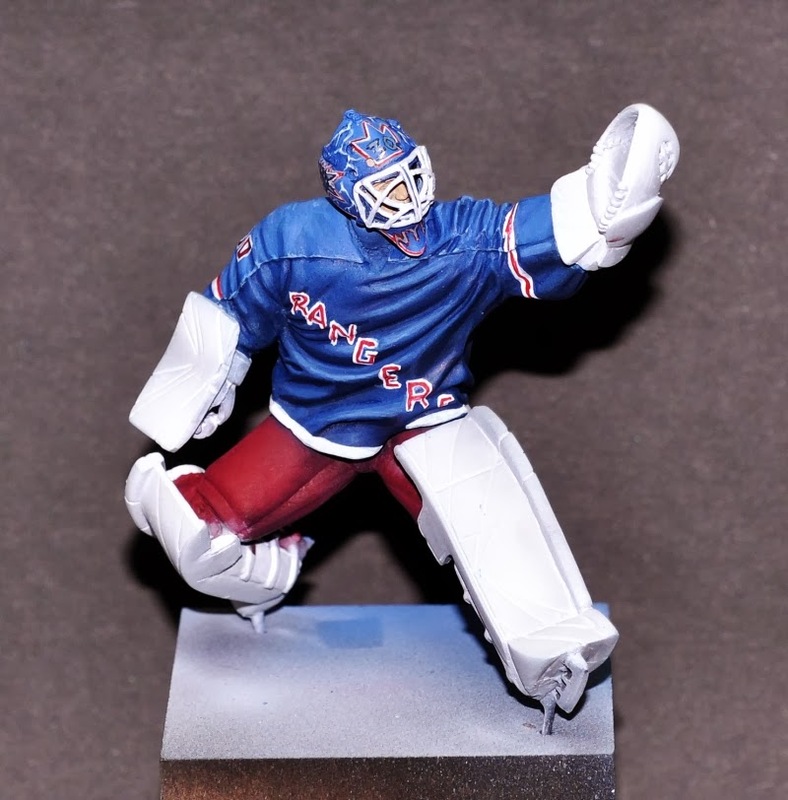 After I took the photos I decided to redo the stripes and the Rangers lettering. This figure is the next milestone step regarding your painting skills - Looking forward seeing it finished. Thank you! Painting this miniature is so much fun :) A great motivation for my next projects.